Food and non food grade conveyors for the production, storage and packaging areas. Purpose designed to suit your requirements. 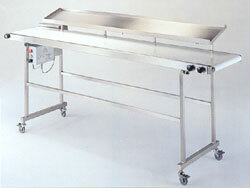 Sandwich production units, as shown, manufactured in a range of sizes to meet your specific needs.